Ergonomic Industrial Workstations, Machine Bases, Operator Platforms, & more for 25+ years! 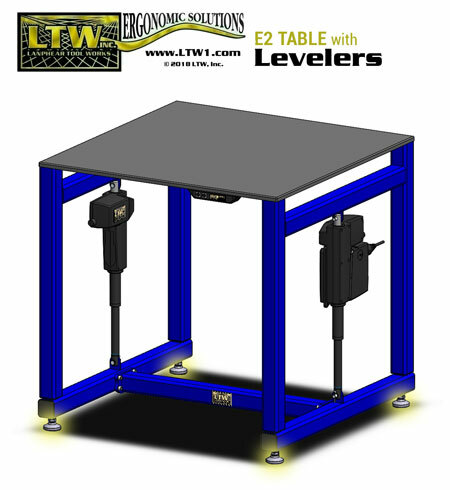 LTW’s E2 Ergonomic Adjustable Height Industrial Fixture & Machine Tables raise the work to you! People of different heights can’t work ergonomically at a single fixed height table; it’s too tall for some and too short for others. 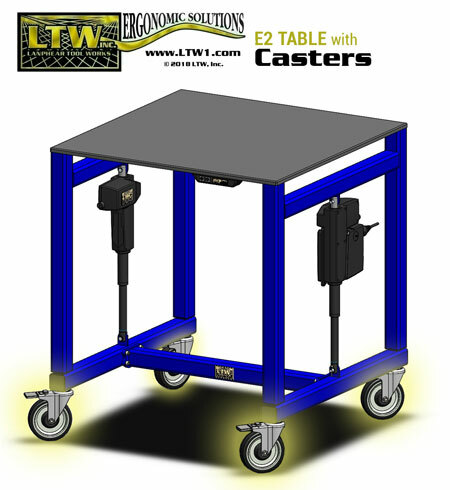 The E2 Series Tables combine ergonomics with simplicity to create a cost effective adjustable height solution. 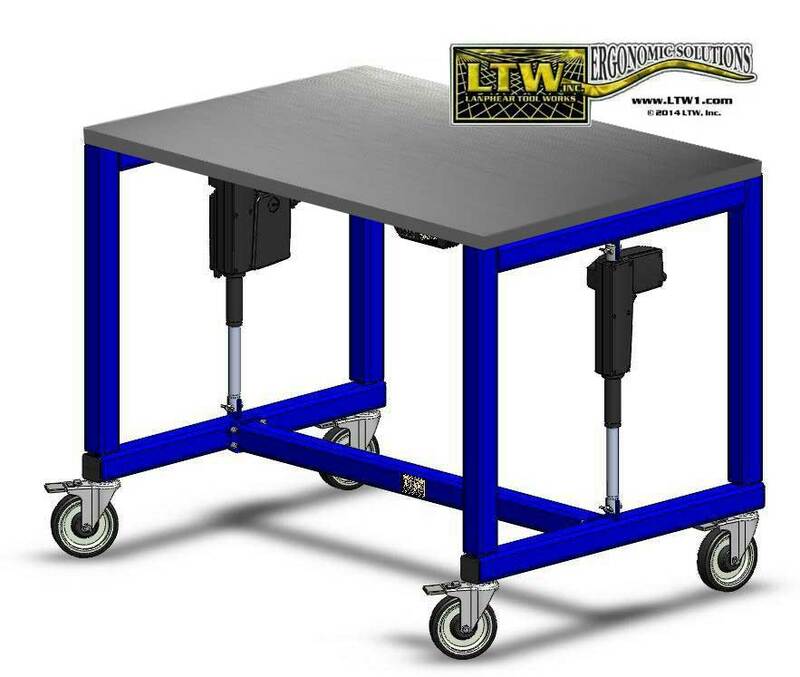 This multipurpose table can accommodate various applications on its heavy-duty welded square tube steel frame. These tables are ideal for the following applications: Assembly Fixtures, Work Benches, Assembly Tables, and Machine Bases. Choose from various floor contact options, such as floor levelers and 5″ swivel locking casters as seen below. The floor levelers can offer increased fixed stability, while casters give you the freedom to easily lock the table into a fixed position and unlock to wheel wherever you’d like. Shipped Assembled and Ready to Use! Let us help you raise your level of ergonomics today! "Our first 10 tables have arrived and (we) would like to express to you how pleased we are with the quality and workmanship of these items. We are very pleased we chose you (LTW) to partner with in the construction of the workstations and look forward to a continued wonderful working relationship. Thank you so much for the wonderful job done. Share your LTW experience with Google Reviews! Contact us today with your ergonomic needs.